Microsoft has applied to patent a brain control interface, so you'll be able to "think" your way around a computer device, hands free. Last year, Facebook claimed to have 60 engineers engaged in BCI [brain computer interface] but Microsoft isn't going to take this sitting down. It's erm, sitting down and thinking really hard. The application Changing an application state using neurological data was filed last year, and published last week. The inventors recently filed a related patent for a continuous motion controller powered by the brain. (US 2017/0329392: Continuous Motion Controls Operable Using Neurological Data). The team responsible for both includes principal lead scientist at the Applied Science Group in the Windows division, Kazuhito Koishida as well as Professor Jaeyoun Kim, who has developed an artificial eye. Another member of the team, Cem Keski, has years of experience developing hand gesture controls. So maybe PreCrime chief John Anderton's theatrical hand gesture UI, as shown in the movie Minority Report, isn't so far away. Since the human nervous system registers a response milliseconds before an action is carried out, it should be possible to capture the signal and translate it to a corresponding action. 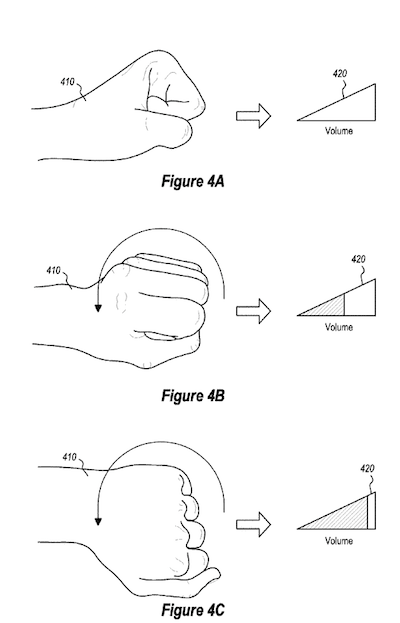 The earlier patent application notes that such systems require training to refine the interface, because the EEG signature differs from user to user, although there is sufficient commonality to get users going right away with simple gestures. Facebook said last year it wanted to transcribe thoughts to speech - a vastly more ambitious exercise.